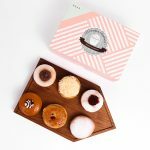 Cupcakes Company | BOMBOLONI IS THE NEW DONUT! Enjoy our homemade delicious Bombolonis with flavors: Creme Brulee, Red Velvet, Nutella, Sugar, Cream Cheese and Caramel Glazed. With choice of 6 pieces or 12 pieces in a box. 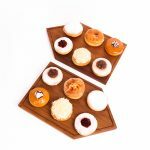 Along this March, get FREE 4 pieces Bomboloni with every purchase of 12 pieces. Valid only for order via website, whatsapp or LINE and cannot be combine with other promotions.